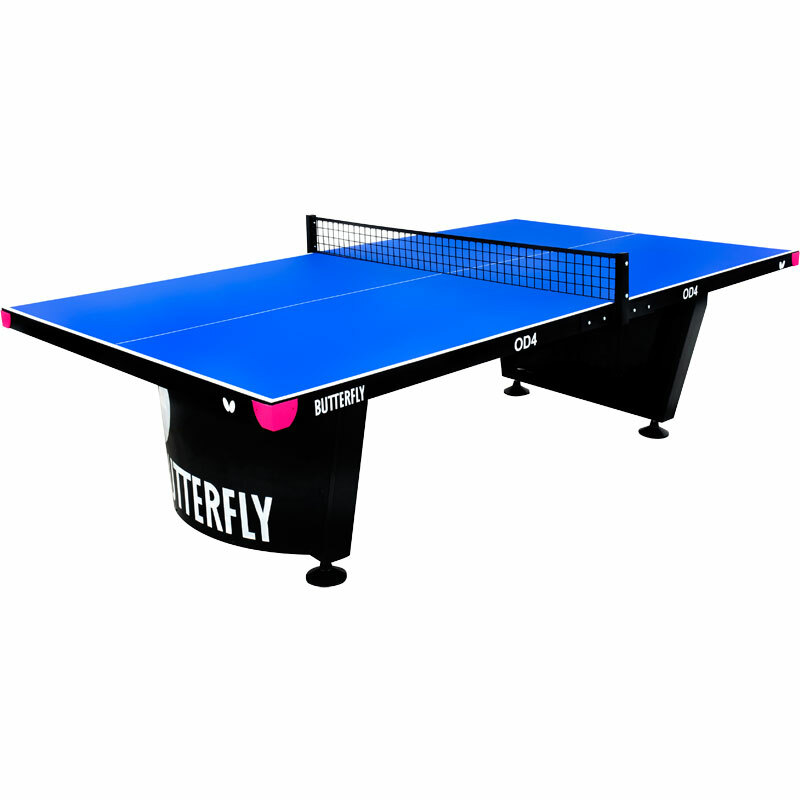 The Butterfly ® OD4 Table Tennis Table is a smart and attractive table suitable for parks, schools, hotels, campsite and gardens. 12mm high resilience weather proof wood playing top provides good bounce and playability. Galvainsed protective metal frame 60mm x 20mm. Galvanised steel net and post set. The undercarriage, frame and net are all galvanised and powder coated for weather protection and long life. 3 year guarantee - table only. Can be fixed to the ground on a semi permanent or permanent basis. In use - 9ft long x 5ft wide x 2ft 6inch high (274cm x 153cm x 76cm).